These last few nights, I have been a skywatcher. I have become entranced, happily giving up sleep to sit on my back porch in my nightie, wool jacket and boots, craning my neck up to the sky. There have been some spectacular light shows going on, and so I have been taking advantage of my northern longitude to sit silently, be still and gaze at the magnificence of the aurora borealis in the night sky. I have seen some beautiful northern light shows in my time up North, and made some wonderful memories watching the show with family and friends. They never lose their luster or their novelty. I feel so alive and connected to the universe when I sit and watch the thick bands of green dance and stretch out across the sky. It looks like somewhere over the horizon is a cool celestial campfire happening, and all I can see are the dark shapes of the people sitting around it. 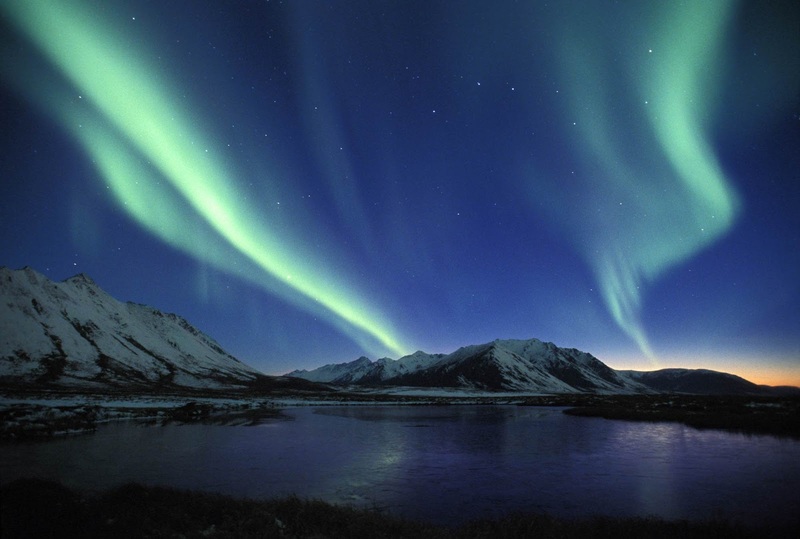 Indeed, many of the first nations up here believe that the northern lights are our ancestors, come to visit us again. I like this thought. It comforts me with its invitation to participate in folklore, but more than that, it comforts me because I believe it. You see, this weekend was the anniversary of both my maternal and paternal grandfathers' passing (in different years), and by coincidence the lights were the most vibrant I have seen in years. I don't believe in coincidences, mind you. I smiled through tears, looking to the sky, feeling a connection to my loved ones in another realm of being. The northern lights look like a highway to me, a cosmic pass to another world, one that is fleeting in the moment, so I have learned to savour their beauty while they last. Sometimes they are up and about for an hour, sometimes I have to be the one to call it a night and go in to sleep, whether the show has finished or not. I could gladly stay up all night watching, but after a while, when my soul is full and my heart is peaceful, I return indoors and tuck myself into bed. I hope everyone gets a chance to see them at least once in their life, so they can appreciate the beauty and maybe even feel something they hadn't felt before. No matter what your beliefs, I don't think it's possible to be unmoved by their magnificence. such a lovely explanation of them. There really is nothing quite like them. So magical and mysterious.